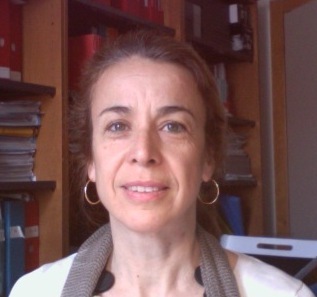 Bio Alessandra Salvan is Professor of Statistics at the Department of Statistical Sciences, University of Padova, since 2002. After graduating in Statistics and Economics at the university of Padova in 1984, she was a PhD student in Statistics in Padova and, from 1986, Researcher in Statistics, first at the University of Trento and, from 1989, at the University of Padova, where she became Associate Professor in 1991. She has been Head of the PhD School in Statistics, University of Padova (2005-2012) and Head of the Department of Statistical Sciences of the University of Padova (2011-2015). Her main research activity focuses on likelihood methods of inference, asymptotic methods, inference in the presence of nuisance parameters, conditional inference, model selection. On these topics, she has co-authored a number of papers published in international journals and, with Luigi Pace, the book 'Principles of Statistical Inference - from a Neo-Fisherian Perspective' (WSP, 1997). She was involved in several funded research projects; in particular, she was local coordinator for the University of Padova of the projects: "Geometry and Computer Algebra in Statistics and Probability" (1993-1997, EU funded, coordinator W. Kendall, University of Warwick, UK); "Statistical models: probabilistic foundations and procedures for inference and decisions" (1998-2000, MURST funded, national coordinator W. Racugno, Univ. of Cagliari); "Model selection" (2001-2003, MIUR funded, national coordinator W. Racugno); "Inference under model uncertainty" (2003-2005, MIUR funded, national coordinator W. Racugno); "Likelihood-based methods and estimating equations in complex models: theory, applications, computational issues" (2007-2009, MIUR funded, national coordinator P. Vidoni, Univ. of Udine). This course provides an introduction to the ideas and methods for the study of asymptotic approximations in statistics. These approximations are useful both to implement statistical procedures and to study their properties. Illustrative examples will be provided throughout. Introduction and some preliminary notions. Limit theorems and their use in Statistics. Moments, cumulants and their generating functions. Notations and . Delta method, approximations of moments and transformations. Inversion of asymptotic series. Laplace approximation. Asymptotic expansions for distributions. Generating functions of sums of independent random variables. Edgeworth and Cornish-Fisher expansions. Saddlepoint expansions. Asymptotic likelihood inference. Statistical models and likelihood. Exponential and group families. Data and model reduction by marginalization and conditioning. First order and higher order inference. for students of other Departments information are available at their secretary. Copyright 2017 daTa scieNce team - These web pages used the Creative Commonds BY-NC 2.0 license.